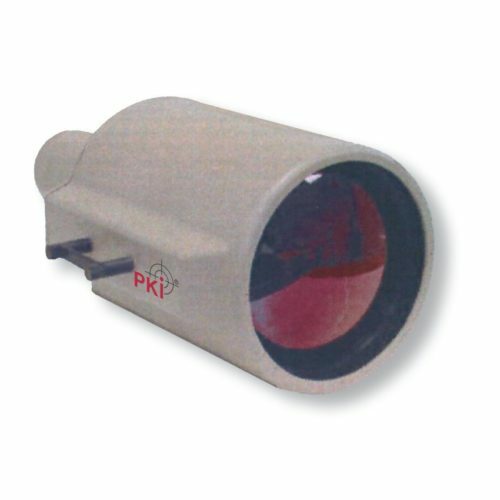 The PKI 5230 is intended for the use in harsh applications including perimeter surveillance and coastal security. Therefore it perfectly matches the tasks of police-, military-, customsand border-control departments. It is a high performance thermal imager based on a indium Antimonide (InSb) 320×256, 30μm pitch focal plane array (FPA) and operates in the 3-5 μm spectral range. Its sealed housing (backfilled dry nitrogen) and marine hard carbon coated lens with front element defroster makes it perfect in all conditions incl. snow and sea. The triple-FOV lens 250-1000 mm/ F 4.0 allows a man detection up to 17 km. Also the camera features RS232 /RS422 link for fast integration in any surveillance equipment.